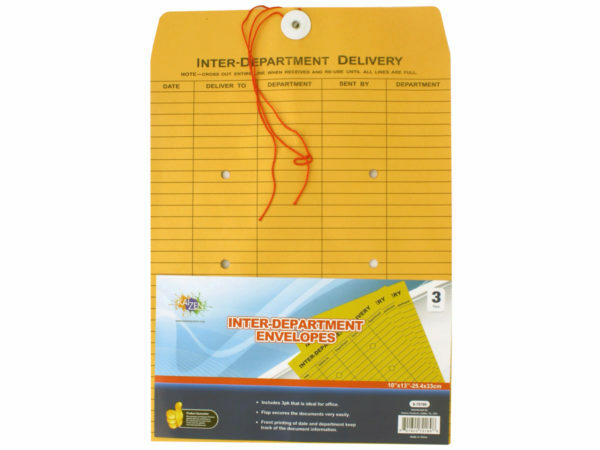 Keep easy track of documentation with this envelope. Set includes 3 PK that is ideal for office. Flap with string helps secure important documents. Envelope measures about 13" tall x 10" wide.